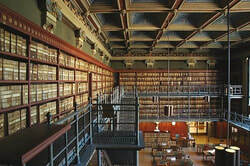 Student Testimonials About The Asheford Program. 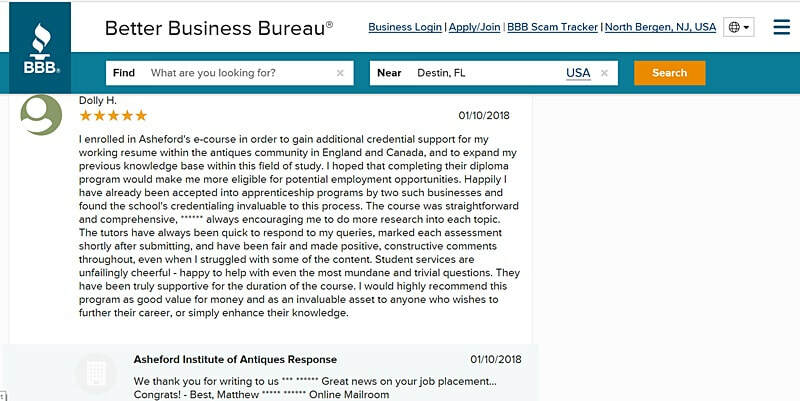 While the school's main Testimonial page provides a link to the BBB website of Florida for the most current reviews of the Asheford Program, we also wanted to provide an archived listing of "all" reviews coming from the Better Business Bureau, since older reviews are removed from the official BBB website after 24 months. 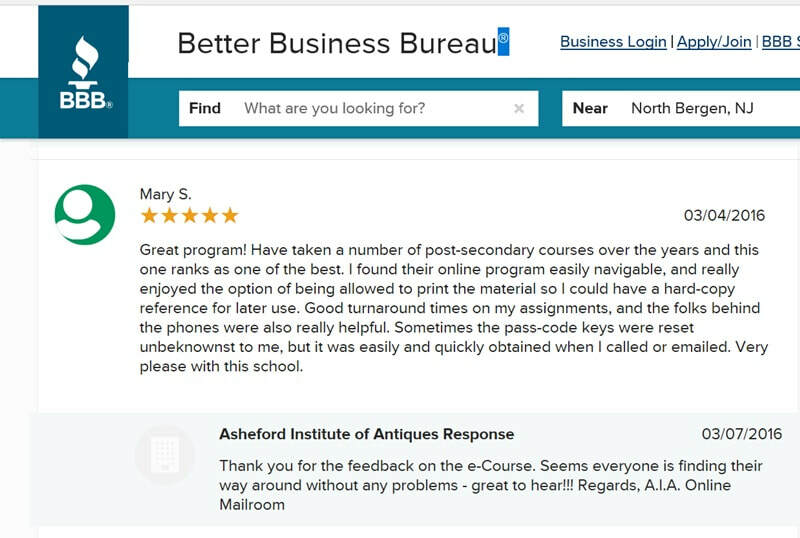 So, with that thought in mind, we're snapping pix of every review ever posted about the Asheford Program on the BBB website, and reposting them here without a delete timestamp or shelf-life. We want to make sure that everyone can see what people had to say about our world-class program not only from two years ago, but from the very beginning.